'Arrive alive.' 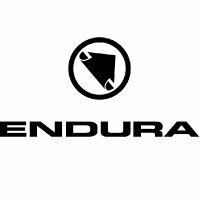 That the striking slogan Endura have adopted to publicise their Luminite range. So it goes with this high-visibility set of socks (supplied as a twinpack). Manufactured in a smooth, soft stretch-fit Meryl Skinlife (85% nylon/15% elastane) hi-visibility yarn. Meryl Skinlife's bacteriostatic fibre maintains a natural skin balance regardless of activity level and helps prevent odour, infection and allergies. This makes Meryl Skinlife is an exceptional sock material. Flat seam toes and arch support zone maximise comfort. Turned ankle cuff keeps Endura Luminite Socks Women's in place. The socks' retro-reflective stripes and logos are embedded in the yarn. “Arrive Alive” are the watchwords for the Luminite range. With the new 10x brighter LED lighting technology, more reflective and more choice of styles using standard emergency services materials, the Endura Luminite pieces will be your guardian angel on the streets. Ride confidently, safe in the knowledge that emblazoned with its EN471 standard reflective safety chevrons in a bold, contemporary aesthetic, other road users will see you night and day. There’s never been more good reasons to be cutting around the city on two wheels. Make sure that you are noticed in more ways than one'.